Diesel Services of America is proud to be one of South Florida’s oldest MAN dealers. We are a factory authorized sales and service center for MAN Diesel. From MAN Marine Diesel Engines to OEM Man Marine Engine Parts, we have you covered for anything MAN Diesel related. Perhaps you are thinking about repowering your boat – Man Diesel & Turbo is the top choice for reliability and performance. 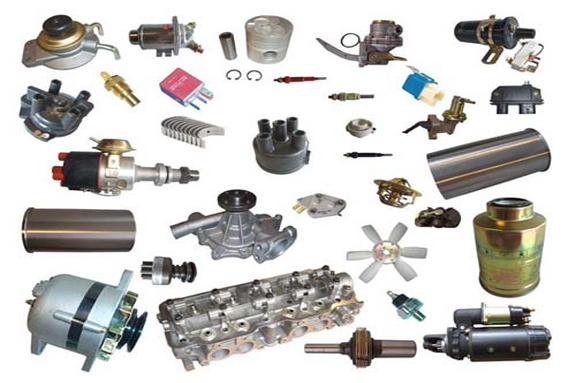 Click here to view our in-stock parts. Only MAN marine diesel engines can supply the powerful performance yachts and pleasure boats depend on. Out of the hole instant acceleration, speediness and comfortable operating at low and high speeds giving an unparalleled level of comfort. MAN marine diesel engines are known for their reliability to go fast on command while delivering the most invigorating performance. MAN Marine Diesel Engines pair MAN Marine Engine Parts to that will have your power plant operating with the highest levels of horsepower. Yachts are a luxury and the demand for providing the most stimulating power is met with MAN Marine Engine Parts and Man Marine Diesel Engines. Using MAN Marine Engine Parts is the only way to go and best method for keeping your warranty intact. Yachts require a massive amount of power to in order to you to a planing speed rapidly. After you have achieved a full plane, your boat will operate with a distinctful purpose that is smooth and relaxed, comfort but nonetheless an exciting excursion while propelling across the water. No matter where you are on the water, mother nature will throw weather and wind your way without notice. MAN Marine Diesel Engines and MAN Marine Engine Parts are the most common choice for working boats because of their reliability and dependable nature. Medium duty work boats all the way up through to the heavy duty applications for industrial use power their vessels with MAN Marine Diesel Engine. Working boats, tugs, pilot boats and patrol craft find themselves constantly running. Transportation of people and goods plus clandestine type surveillance activities in a variety of weather conditions require the utmost in dependability. Reliable and economic marine diesel engines are paramount to operating profitably. Using MAN Marine Engine Parts for your MAN Marine Diesel Engines is the best way to protect your investment. MAN Marine diesel engines are the industry leaders when it comes to a solution for marine diesel engines. Reliability and economy for onboard diesel engine power in ports and harbours worldwide. MAN Marine Diesel Auxiliary Engines generate between 100 and 750 kVA. MAN Marine Diesel Engines are the top selection for genset manufacturers, emergency gensets, and auxiliary/harbor gensets. MAN auxiliary engines are known for dependable, durable nature while also being economical and having a distinct purposefulness. Call Diesel Services of America for any MAN Marine Engine Parts or anything pertaining to MAN Marine Diesel Diesel Engines.